Coach Catalyst's main advantage over other software is the considerable flexibility you have as a coach while being easy to understand to apply. It delivers accountability to your clients directly where they spend most of their time – on their phone. Done-for-you programs - they offer 20+ “done-for-you” programs that you can start using with your clients right away. The best part, all of the content is completely customizable. You can make your programs, in any language that you want, or use their programs and challenges. The list is very long, and they keep adding new programs, and the options for creating your content is unlimited. If you decide to create your own program, Coach Catalyst uses a 'drag and drop model' which is easy to use, and if you ever get stuck, you can always reach Trevor or Kane, and they will solve it immediately. There’s also a massive library of daily lessons that you can use to mix and match however you desire. 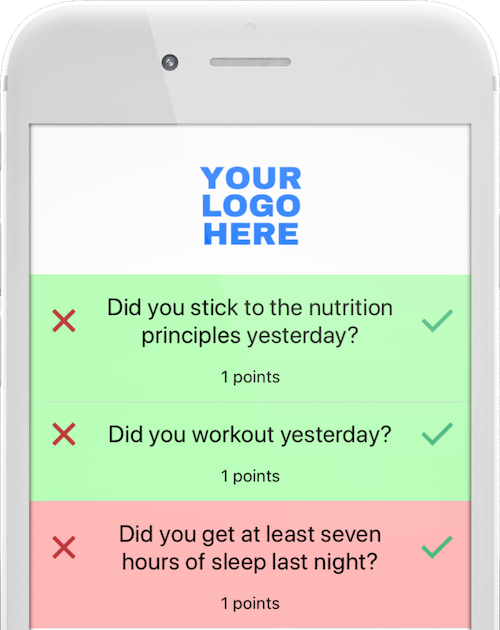 MyCoach App – Daily lessons and daily check-ins are delivered directly to your client’s phone with a notification reminder. They won’t have to open a web browser or log in each time they decide to check in the app. Everything is completed in one click. They will get a notification, and a daily check-in pops up as the first thing when they open the app. It has a clear interface, built-in messaging system, and stores the client’s measurements and data. Clients are required only to do one thing, and that’s check-in with their daily habit-based question. There’s no check-in for the educational lessons, whether they’ve read it or not, and there are no built-in questions for your clients. This can take the pressure off the clients, but it leaves more work for the coach. The Coach Catalyst app has some minor flaws though. It can be clunky from time to time, taking too much time to load between screens, or while uploading data. All of these problems come on random occasions, so it’s tough for them to fix it, but I know for sure they are working on it. They are very active in updating their product, and to make sure everything works great. Auto-messages - To make your coaching easier, Coach Catalyst offers an auto-message system. It’s the place where you can make your coaching automated. Once you write them, all you have to do is chose a client, set the starting date, and space between message delivering. These messages will be provided in their app chat, like when you usually text them, there’s zero difference. You can create whatever you think it’s missing for your coaching. I used it to make an auto sequence of coaching questions (MI), a review of the week, a reminder for taking measurements and similar. 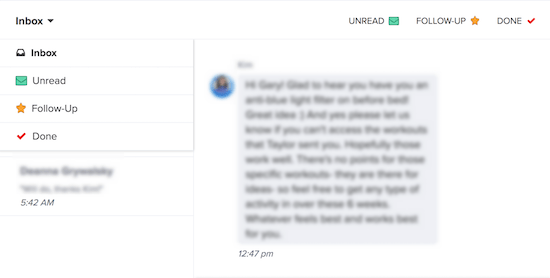 If you decide to spend a little time in building your auto-messages, and I suggest you do, you will never get into the situation of “oh hell, I didn’t check in with him/her for a week,” no matter how many clients you have. Branding – Another considerable addition to CoachCatalyst is it allows you to place your logo and colors into the app. You won’t find anything branded with CoachCatalyst in your program. Like with everything else, you will have complete freedom to edit the branding, so that client’s see everything like your own product. Multiple Coaches – If you have other coaches working for you, then you can sign up for an “Organization” plan and assign your clients to different coaches. Community – You will get access to an exclusive CoachCatalyst Inner Circle FB group. You can find Trever and Kane active in there 24/7, plus they always check with coaches where should they focus next on developing a better product. Since CoachCatalyst offers excellent flexibility, you will have to spend your time learning the basics. You can start coaching right away, after spending 5 min in the app and picking one of their programs. However, if you want to have a 'full bulletproof coaching program,' suited for your needs, you will have to spend some time understanding and creating things. The important thing is whatever comes up on your mind; you can create it in CoachCatalyst. 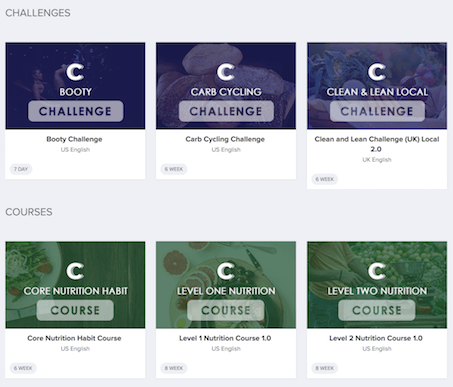 CC is habit-based nutrition coaching software, and it doesn’t offer any workout programs. 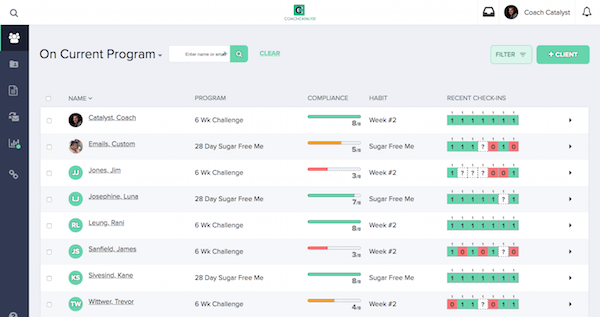 After many discussions in the FB group, they decided (and I totally agree) that they should keep the focus on improving this as primarily nutrition coaching software. In case you need workout programs to add to your coaching, there are many options out there. My recommendation is TrueCoach. TrueCoach alone can be used as in-person or online coaching software if you use macro based nutrition plans. However, since I’m doing habit coaching, I’ve used TrueCoach only for scheduling and delivering workouts both for offline and online sessions. It has a significant library base, but also offering you to create your own workouts and names (this was important for me because not all my clients understand English). You can also add your videos, links or whatever you want. Also, you can load the full program for your client, or deliver workouts on a weekly/daily basis along with a detailed description, so your clients understand everything. The calendar is just pure awesomeness and the reason why I use TrueCoach. It lets you move workouts with simple drag and drop in case a client reschedules or skips that day. Same for online clients. They also get a few questions at the end of each workout, to assess the difficulty and give you some feedback. Plus: 99 USD/month – Everything from the Basic package, plus habit coaching, program library, and everything that CoachCatalyst is all about. Organization: 139 USD/month – Everything from Plus package, but it lets you invite up to five other coaches and gives you the ability to assign clients to different coaches. CC offers 30 days trial for only 1 USD. The client experience is fantastic! With this amount of flexibility, you can make your program to suit everyone's needs. You will have clients who love the daily lessons and can’t wait for more coaching questions. On the other hand, some clients don’t feel like answering every day with your profound questions, so maybe you need to slow the coaching pace with them – CoachCatalyst offers you that. Even if you feel that the daily lessons are too long, you can make them short or make it as just tips and bullets for the current habit, whatever you or your client prefer. It takes a bit of work, but you can make it great by your standards. 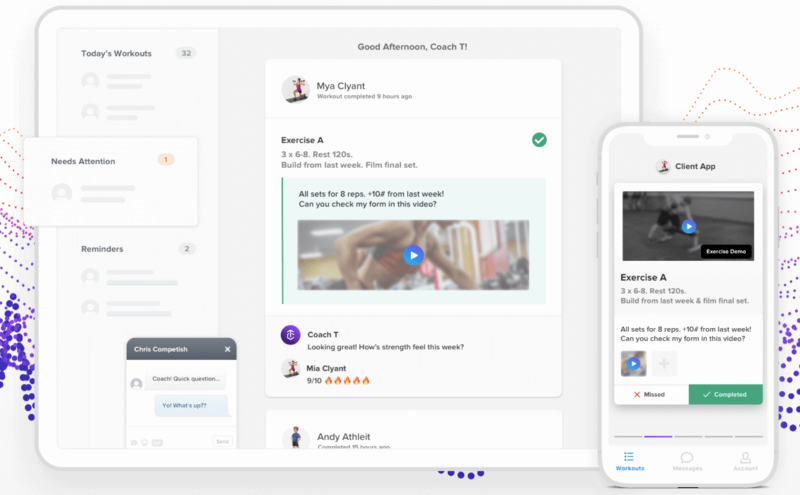 I’ll have to admit, not a single client felt overwhelmed by the process while I was using Coach Catalyst, and along with the user-friendly app, I can say 10/10 for Coach Catalyst and client experience. This section is something they have upgraded the most in the past six months. On your central dashboard, you will see a list of your clients, current program, compliance, current habits and their recent check-ins. For everything else, you have to open a client's page. There’s also an option for bulk messaging which is very easy and very useful. The only downside is that you don’t get a notification on your phone or email when a client checks in, or uploads measurements (something I found very useful on ProCoach). 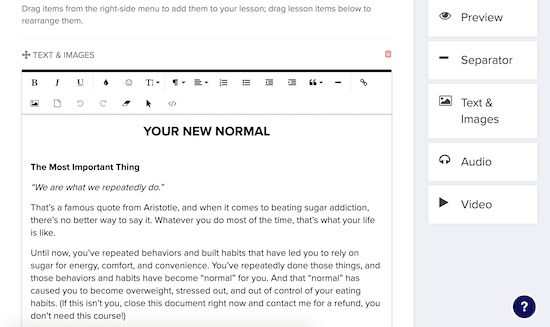 Everything from your welcome email, to making specific measurements, programs, and lessons. Everything is customizable for you. If the client is struggling with a specific habit, you can quickly move it to next week or until he/she becomes more confident to tackle it. There’s no Coach Catalyst branding; you can set your business logo and colors free of charge. If you are starting out, and need to grow your email list, the free seven day challenges are perfect for it. You can have as many programs and clients as you like, so don’t be afraid to run free challenges. You have total flexibility that you can choose to use or not. Like I mentioned above, you can start coaching as soon as you add your first client, and later work on specifics that suit your style of coaching and standards.